We hope this finds you well, radiating peace and ever more inspired to live with an Open Heart. Stop now and recognize…Life itself, with all its nuances, hells, and heavens, just blossoms from the present moment. Observe a tree, a smile, a sunset, a memory. See that each has no border, no internal limit. There is a sense of openness and surrender in this reverential vision, which strikes like lightning. Being anything and everything in the foam of transience. We suffer from “past” and “future.” We rush through life, we run after time, and it seems that there is no end. Only the present moment is divine, infinite, irretrievable—rest in it (you don’t even need to take a deep breath for this :)). The moment that we are living—that is living. Now. The awareness of this instant is in itself a sacred intuition. Knowing that everything is final, that there is only one moment, every moment; that the tree of life is an outburst of eternity in any act of our being. Learn to love useless moments. We always have paths to follow, points to hit, needs to fulfill. Make these goals lose their absolutely enchanting power. Taste imperfection. When the “purpose” of life is the very joy of this “imperfection” this very acceptance becomes the secret to perfection. But how can we accept the mystery of the obvious? How can we be in love with such a simple fascination? The Hridaya Intensive Yoga Retreat: Module 1 continues to be shared every month, and Sahaja and a team of experienced teachers are hard at work developing the texts to accompany our new Module 2 course. It debuts on 28 October and will continue monthly throughout the main season. Join us for Module 2 and mark your calendars, because we will introduce Module 3 starting 17 March 2015. Sahaja returns home to Mexico next week and will lead the first Hridaya Silent Meditation Retreat of the main season starting 11 September. Immediately following the retreat, our lucky 2014 Hridaya Teacher Training Course participants will begin their journey. As you may have heard, this course filled up quite early, so if you are considering joining us next year, don’t delay heading over to our webpage for an application. Our workshop series will get even more interesting in the next few months, with the introduction of two new courses. From 3-5 October Antoaneta will explore feminine creative energy, love, and sacredness in her women’s workshop Embody Your Divine Feminine. To celebrate the Day of the Dead 1-2 November, Claud will debut Death as Spiritual Awakening, offering the Hridaya perspective on death and dying and serving as an inspiration to live life with enthusiasm and awaken to our real purpose. Other upcoming workshops include Conscious Loving from 5-7 September with Claud and Latifa, Practical Tantra with Antoaneta from 7-9 November, and a special 5-day From Pain to Peace workshop 16-20 December. Email us for more information about any workshop or to book your place. Our devoted team has been working hard during this quieter time of year to prepare the Hridaya Yoga Center for the upcoming busy season. Much painting, organizing, and clutter clearing has been lovingly accomplished, and we are completing a new yoga hall that will be used for smaller classes. It will be named Tapas Hall, in celebration of the joy of practice. Additionally, the finishing touches are being put on our new air-conditioned Dark Room and a registration kiosk to better welcome our students. Come check out our changes! If you haven’t perused our blog lately, you may want to take a few minutes to visit it. One especially powerful and inspirational post profiles Sebastian, a Hridaya student who has been able to go far in healing his diabetes naturally through yoga and meditation. He has reduced his need for insulin by almost 80% since his arrival in Mazunte in March! Elsewhere online, DIY Genius, in its article on the 10 Best Tropical Islands and Beach Towns for Digital Nomads, called Mazunte the “esoteric spirituality capital of Mexico,” and mentioned the Hridaya Yoga Center as a prime destination on the Oaxacan Coast. Kamala Yoga and Meditation Center in Brasov, Romania offers Hridaya solitary retreats and dark retreats. It also offers Hridaya Hatha Yoga classes, workshops, and weekend meditation retreats and will host Sahaja for retreats starting 26 December 2014 and 7 August 2015 (email: centrulkamala@gmail.com; www.kamala.ro). The Kaivalya Yoga School and Ashram on beautiful Lake Atitlán, Guatemala offers ongoing month-long Hridaya Intensives and holds monthly 4-day Hridaya retreats, the next one will be lead by Emma and Severin from 10-13 September (www.yogaretreatguatemala.com). Naz teaches ongoing Hridaya Yoga classes in London and Milton Keynes, England and will host a yoga retreat in Turkey in October (email: naz@theheartcentreyoga.co.uk; www.theheartcentreyoga.co.uk). Raluca teaches Hridaya Hatha Yoga and Meditation classes and gives weekend retreats in Brasov, Romania (email: contact@santosha.ro; www.santosha.ro). Maeioum is teaching in Puebla, Mexico and will offer Hridaya workshops in Spanish in Tepoztlán, Mexico City, Malinalco, and Puebla (aumsrimata@gmail.com). Esther teaches Hridaya Meditation and Hatha Yoga classes in Bern, Switzerland (www.kaliayoga.ch). Niamh offers weekly Hridaya Meditation classes at two yoga centers in Liverpool, England (www.hridayayoga.co.uk/). Giulio gives yoga classes and weekend retreats in scenic Florence, Italy (email: gbenati@hotmail.it). 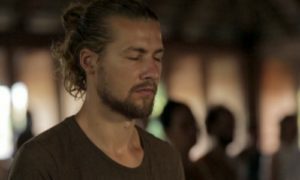 Adam will offer a 1-day Hridaya Hatha Yoga and Meditation Intensive on 20 September in Naarden, Netherlands and will teach a 6-week introductory meditation course beginning 24 September in Groningen. This course will be followed by another more in-depth 6-week course starting in November (email: aossin@gmail.com; http://hridaya-yoga.nl/activities/). Also in the Netherlands, Esmeralda teaches regular Hridaya classes in Rotterdam and Breda (openheartedly.wordpress.com). And, in Newcastle, Australia, Tamara is teaching Hridaya Hatha Yoga and Meditation classes (email: yogaheartspace@gmail.com; facebook.com/yogaheartspace). We hope to see you soon! May the awareness of the Present Moment be with you always.